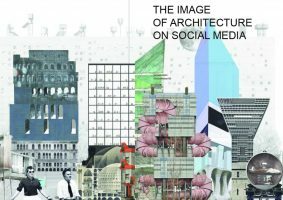 This Architectural Theory’s Master Studio investigated the way in which social media are changing the production, interpretation and transmission of architecture. According to the “Digital in 2016 report” there are 2.31 billion users of social media around the world, spending an average of two hours per day on their accounts. Accessing social media from smartphones, rather than computers, is also becoming the rule, transforming content consumption into a pervasive stream of fast and fragmented interactions, nearly occupying all interstices of the everyday. In the racing and distracted environment of social media, working with visual contents (images, movies and animations) has become fundamental, as they grab the readers’ attention much better and have the potential to travel much further than written ones. Such condition perfectly matches the architectural practice and the knowledge about design processes, which have always been heavily based on “images”—and are therefore particularly suitable for communication on social media. The strategic system of images, movies and animations with which architecture is communicated nowadays, shouldn’t be considered as something accessory. In the information age, in fact, they are highly (when not solely) responsible for the way in which we understand space and built reality in general. The word “architecture”, in this sense, doesn’t simply define a body of theories and works, but a cultural system made of “constructions”—buildings, writings, images, movies etc., of their mutual relations and of their personal and collective interpretations. Since the 1990s, an increasing amount of academic studies have shown a growing interest in the presence of architecture in media, rather than in reality: a shift of focus that will be examined, interpreted and extended during the studio “Other media, other architecture.” Is this shift leading to a retreat from social concerns into the realm of culture? Can architecture in social media produce radical re-interpretations of the discipline? What kind of social life and economic order are going to be generated by architecture in the age of social networs? What are the communication technologies that architects have at their disposal nowadays? Can they redefine the way in which architecture is produced, interpreted and transmitted?